Mouttet Capital Limited, a wholly owned subsidiary of Victor E Mouttet Limited, is an investment company with primary activities in commercial real estate, hotels and retail. Starting in the late 1980’s, the company started making investments in small commercial office buildings in Port of Spain. 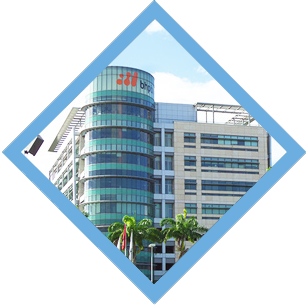 Over the years, the company has grown to do larger development projects including the iconic BHP Billiton Building at Invaders Bay in Port of Spain, large warehousing developments in Arranguez, and The Walk Shopping Centre, which is phase one of a 310,000 sq. ft. development in Warrens, Barbados, to name a few. In 2005, along with the Promerica group from Central America, the company opened its first hotel, a 120 room Marriott Courtyard at Invaders Bay, Port of Spain. In 2010 a second Marriott Courtyard was opened at The Pavillion in Barbados, and a third is under construction in New Kingston, Jamaica, which is expected to open in early 2015. The company made its first investment in retail in 2000 when it partnered with PriceSmart, the pioneer in Membership Shopping in the US, to bring its warehouse shopping concept to Trinidad. While this investment has been since divested, PriceSmart has proven to be very successful and now operates 4 stores in Trinidad. In 2004, the company joined forces with the Promerica group from Central America and formed a joint venture with Payless ShoeSource, the largest US retail shoe chain, to develop Payless shoe stores in the Caribbean and Central America. The company in now the dominant retail shoe company in the region and successfully operates over 220 stores. In 2010, along with its partner Trent Restaurants Limited, Mouttet Capital acquired Linda’s Bakery, a small retail bakery chain established in 1959, with just 4 locations. The business has since expanded to 10 locations and an expanded production facility will be commissioned in October 2014, which will allow the chain to rapidly expand to over 40 locations in Trinidad and Tobago. -BHP Billiton 2C Trinidad Ltd.
-La Vita Day Spa Limited. 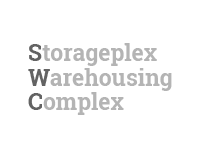 Storageplex Limited, established in 2002 is a property development company which owns and manages a building facility at 18 Chootoo Road Extension, EL Socorro, San Juan. This facility currently serves as warehouse and office space for the following related companies: Smith Robertson & Company Limited and SuperPharm Limited. Storageplex also owns an manages warehouse and office space occupied by Vemco Limited in Diego Martin Trinidad. Owned by CUL Properties (B'dos) Ltd , The Walk, opened its doors for business in December 2013. This elegant shopping centre located in Welches, St. Thomas, Barbados is tenanted by 16 of the top business in the island. The tenants include Chefette, First Citizens Bank, iMart, Hallmark, Coffee Bean, Payless Shoe Source, and Lime to name a few. Whether traveling for business or pleasure, the Courtyard Bridgetown offers convenient access to the city, local attractions, restaurants and night life. 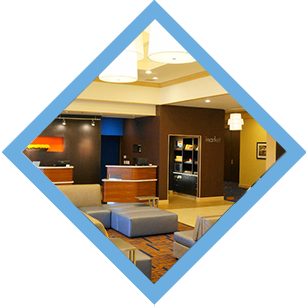 Featuring a new lobby and room design, our 118-room hotel is located in the well-known Garrison Historic District and is within easy walking distance to the island's white sandy beaches. Under construction in New Kingston, Jamaica. Expected to open in early 2015. 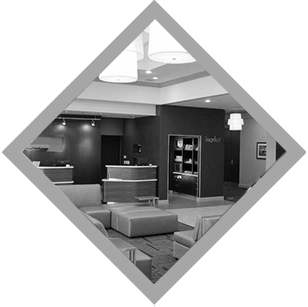 This stylish Trinidad hotel features 119 guest rooms and sophisticated suite accommodations with comfortable beds, large work desks and free high speed internet access. Located near the heart of the bustling downtown Port of Spain, the Courtyard Port of Spain hotel is within walking distance to the Movie Towne Entertainment Complex which includes theaters, shopping, restaurants and the Hasley Crawford National Stadium. This investment has been divested. Lindas Bakery Limited, established in 1959 by Tom Chin Fatt and named after his wife, Linda, was purchased by Peter George, Adam Aboud and Mouttet Capital in March 2008. It is a Retail Bakery Chain, currently with 11 stores and it is the largest retail bakery chain in Trinidad. The company’s plans are to grow to 40 stores within Trinidad & Tobago by the end of 2020. Payless ShoeSource is dedicated to democratizing fashion and design in footwear and accessories to the world and inspiring fun fashion possibilities for the family. We provide our customers with the style they want at a great price, offering an engaging, easy-to-shop experience and outstanding customer service. 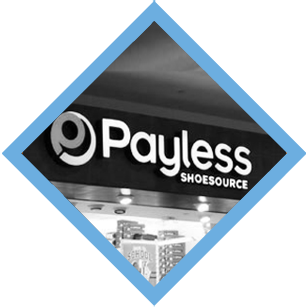 Today, Payless employs more than 25,000 associates worldwide and is a privately held company owned by Golden Gate Capital and Blum Capital Partners.